John Carpenter’s “Halloween” is one of the most famous slasher films in history. The name Michael Myers lives in infamy. When it debuted in 1978 it grossed over $70 million in the box office on just a $300,000 budget and a 20 day filming period. After a barrage of sequels and remakes and reboots, “Halloween’s” reputation was on the down and out, or so we thought. In walks David Gordon Greene’s “Halloween,” released on Oct. 19 as neither a remake nor a reboot but simply a sequel to revive the true meaning of “Halloween”. Greene’s “Halloween” reimagines the series in that it erases it— all of it. “Halloween” ignores the plot of every single sequel and reboot and remake on the market. It open 40 years after the events of the first film, with Michael having been caught on Halloween night in 1978 and held in a criminal psychiatric facility ever since. Greene’s “Halloween” plays on the concept of Laurie Strode and Michael Myer’s lives almost paralleling each other: she is obsessed with killing him and he is obsessed with killing her. Laurie has lived her life unable to move past Michael, and the film really focuses in on her inability to function unless in a crisis situation. This is a new direction to take with a slasher sequel, which adds intrigue. Speaking as a slasher film buff, I would give Greene’s “Halloween” a definite 9 out of 10. 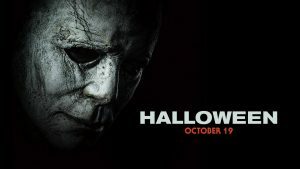 I unfortunately have to deduct a point for a rare plot hole here and there, but overall the film impressed me and reminded me of the ambience and fear of the original “Halloween.” I can 100 percent say Greene achieved his goal of reviving the reputation of Carpenter’s “Halloween”. If you’re still unsure on whether to give Greene’s “Halloween” a chance, just know John Carpenter himself gave the film his blessing when he visited the set during filming.